Sought after neighborhood of Sutherland! Spectacular Home with Open Floor Plan offers 4 bedrooms, 4.5 bathrooms, and over 5300 sq ft of living space! Beautiful brick exterior, expansive front yard with mature trees, & circular drive welcome guests. Enter to a lovely, classic two story foyer. You'll find a professional Office to your right & a Dining Room to the left, both with crown molding. Sparkling hardwood flooring leads to the gourmet Eat in Kitchen equipped with a double oven, new dishwasher, plentiful cabinetry, breakfast bar, & dining area surrounded by windows for natural light. Kitchen is adjoined by a cozy Hearth Room showcasing one of three fireplaces in the home. The adjacent Living Room with built in bookshelves & fireplace is a wonderful place to entertain.Spacious Master Suite on the upper floor includes an oversized walk-in closet & luxurious Master Bath with soaking tub & new shower. Property also offers 3 more large Bedrooms on the upper floor (2 connected by a Jack and Jill bath). Another Full Bath rounds out the second floor. 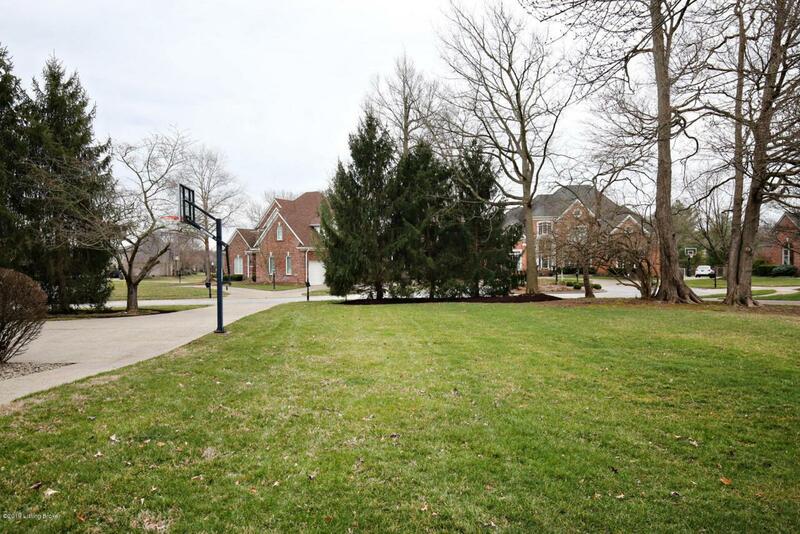 Finished basement opens to a sizable Family Room & Recreation Room with all new flooring. Basement also has another Full Bath. Well landscaped back yard is almost a half acre & perfect for barbecues & parties with two separate decks for outdoor dining and relaxation. New Roof (2016), 3 Car Garage, Zoned heating/cooling, built in cabinetry, & security/irrigation systems. Enjoy all of the amenities this amazing community offers including pool, tennis courts, Clubhouse (planned activities for residents), playground, & sidewalks for walking. Don't miss out and schedule your showing today!